By Ace Social Media Agency. It's been a great month for all of Web Shop's social media platforms, especially following the fantastic results of the competition we ran at the beginning of the month! 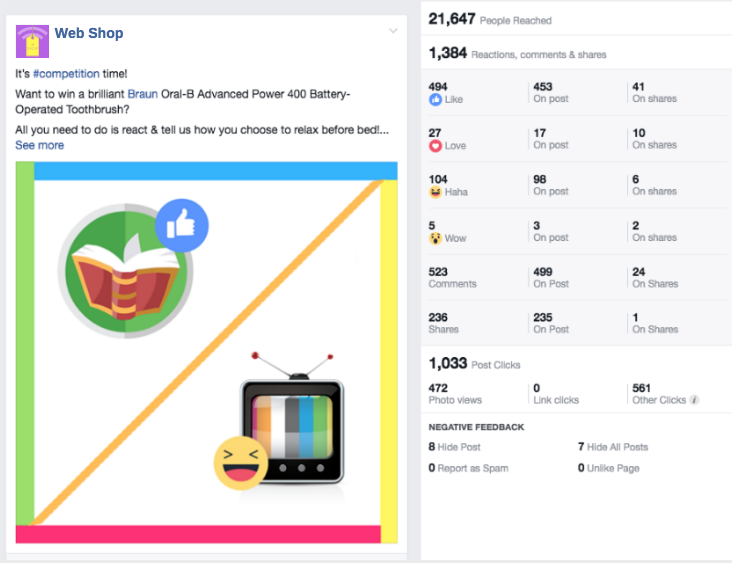 Really fantastic results for the competition including a reach of 21,647, 1,384 reactions, comments & shares and 1,033 post clicks! Our highlight of the month across our social media channels was definitely the competition we ran - an organic reach of 21,647 people is incredible. In addition to this, we had 1,384 likes, comments & shares and 630 entries. We began the month with 398 Facebook page likes and ended with 944. I am very confident we will easily hit the important 1,000 mark during next month, and we'll aim for 1,500. I am currently running another competition and plan to run a third next to drive very high levels of exposure for Web Shop. The first promotion of the fidget spinners reached 7,017 people and earned 126 clicks through to your eBay page. 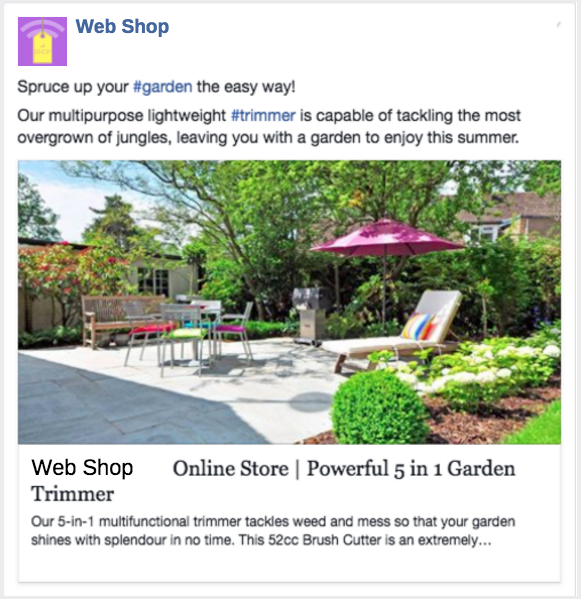 The traffic optimised trimmers post reached 10,947 people and gained 74 clicks through to your website! 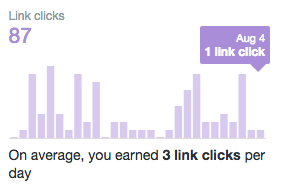 Promoted posts have achieved excellent results this month. I progressed from promoting posts directed at engagement to those optimised for traffic which has directed more people to the website. 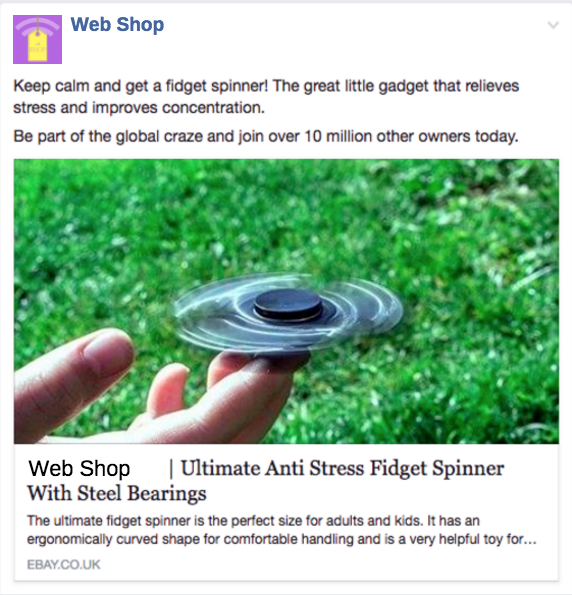 The most successful post has been the fidget spinners, with a reach of 7,017 and 137 clicks through to the website. 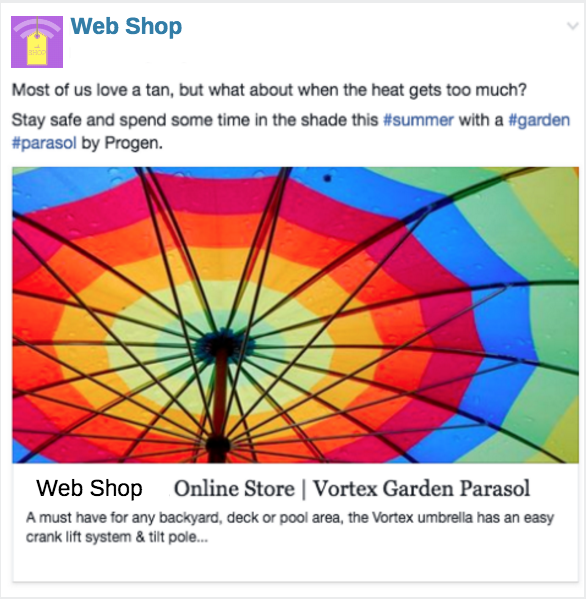 This vortext parasol promoted post reached 3,749 people and gained 78 clicks through to your website! 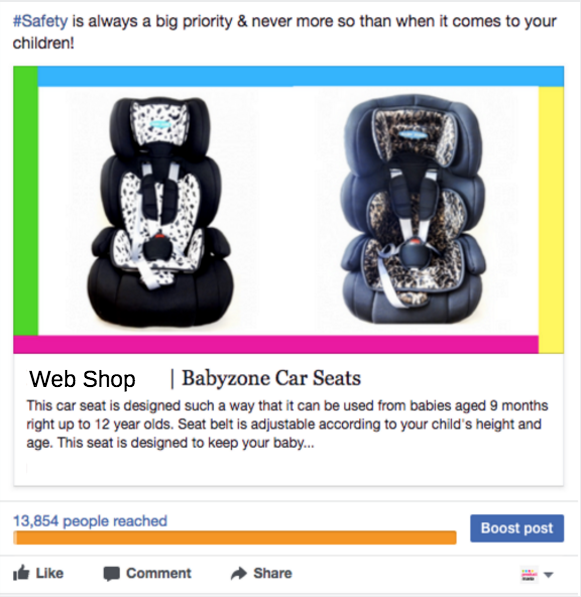 The Babyzone car seats were promoted again as a traffic-optimised post, it reached 4,798 people and gained 59 clicks through to the website. 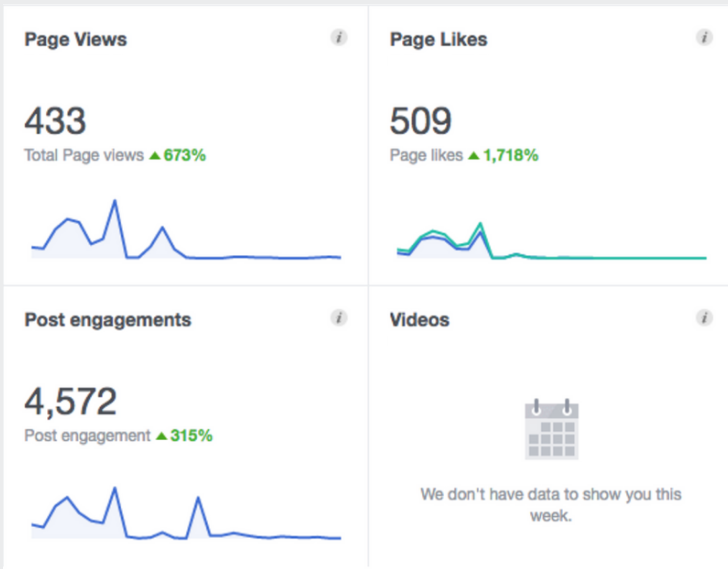 These are statistics from our work on Facebook this month. Page views have increased by 673%, we gained 509 likes and generated 4,572 engagements - an increase of 315%. 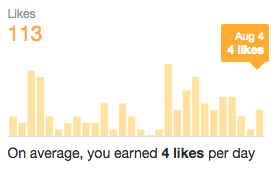 We've earned 23.3k impressions on this month, having grown the following by 113 people. 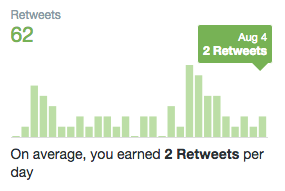 Twitter has progressed really well this month, with your account reaching 23.3k impressions and 113 new followers. We are currently on 4,576 followers, I am sure that with continued posting of engaging content and further interaction we will reach 4,700 next month. I also plan to utilise appropriate popular hashtags to ensure our tweets reach as wide an audience as possible - and this has resulted in an average increase of 13% in retweets, link clicks and likes! 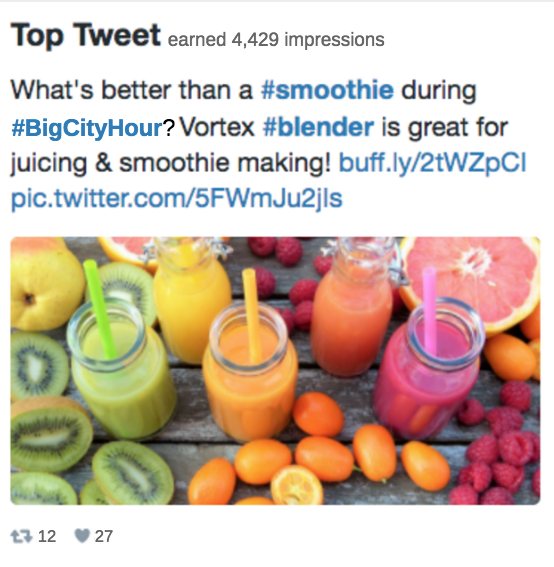 Our top tweet reached 4,429 impressions and received 12 retweets and 27 likes which is an excellent level of engagement. Last month, there were 8,977 sessions recorded on the website by Google Analytics. Of these, 1,492 came from social media, equivalent to 16.6%. Compared to last month's total, this percentage increase is 2.4%. 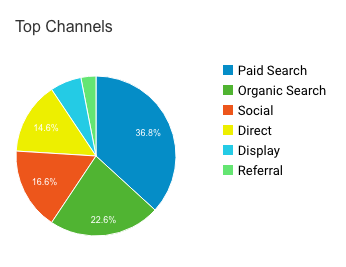 This pie chart on Google Analytics shows that 16.6% of the site's traffic came from social media.